To gain the maximum benefit from you or one your staff members becoming Cytech certified, you should promote your business to customers by showcasing your qualifications. Let your customers know about the benefits of taking their valued bike to a Cytech qualified technician. Below you can find out about some of the ways you can make the most of your qualifications and the guidelines and best practice you should follow. The International Cytech Directory is the definitive list of all Cytech certified personnel worldwide, including employees of specialist retailers and suppliers as well as members of the public. Once you successfully complete a Cytech course it is added to your record and shown on the Directory, along with your town and the business you work for (if applicable). It's important that you keep the details displayed on the Directory up to date so that you're promoted correctly to those looking for their nearest Cytech qualified technician. If you start a new job with a different business, move address or do anything where your name, business name or town changes then get in touch by using the 'Update details' link on the Directory page. If you currently work in the trade then also check that when you search for your business that all your qualified staff members are listed with all the right qualifications. Use the 'Update details' link on the Directory page if anything does need updating. Each individual listed on the Directory is awarded a Cytech technician status - more information can be found on the Cytech technician status page. "< name > is certified to Cytech technical three". "All of our workshop staff are Cytech senior technicians"; or similar. At current the Technician status 'badge logos' aren't available for retailer or technician use, however this is something that we are working on making available. To promote yourself and your business further, why not add the Cytech logo to your website and marketing literature? This can include the header/footer (or a dedicated page) of your website, business cards, flyers, adverts and social media pages or any other marketing literature you see fit. Our logo cannot be used to endorse, or made to appear that Cytech endorses, any other product or brand, i.e. our logo should not be displayed alongside products that a business is selling. The Cytech logo is available upon request, and to display the Cytech logo you must have at least one member of staff with a Cytech technical two qualification or higher. depending on use, as stated in the 'Cytech technician status' section above. For any web use we would also appreciate the logo to have a hyperlink back to the Cytech website (https://www.cytech.training/), as this further enhances the validity of your qualifications. Email us to request the Cytech logo. Click here to see some examples of how to use our logos. In the UK - if not done so already you should create an account through the ACT (either by becoming a full paying member or signing up to the community for free), and register your business details and employed staff. Outside the UK - email us to provide us with your business and staff details. All candidates who successfully complete a Cytech course receive a certificate via email which you are encouraged to print off and display in your store. To get maximum benefit from your investment in Cytech, display certificates behind the sales counter or somewhere visible on the shop floor. Customers can recognise that your business has invested in the staff and its service, where you can also bring up your qualifications when talking to customers about the services you offer. Qualifications are also something to be proud of and it's great to have your achievements on show. You can also order physical and replacement certificates from us. Cytech is owned by the UK cycle industry and managed via the Association of Cycle Traders (ACT), the largest cycle trade organisation in the UK. UK cycle businesses, especially those who are full members of the ACT, can benefit from further promotion opportunities on top of those listed above. Extending the availability of these opportunities to international businesses is currently being worked on. Cytech Accreditation is a quality benchmark scheme designed to recognise and promote the individuals and businesses that invest in Cytech technical training and raise the profile of cycle mechanics as a profession. For a retailer or workshop to become 'Cytech Accredited', they must be full Gold members of the ACT and employ at least one member of staff qualified to Cytech technical two or higher. 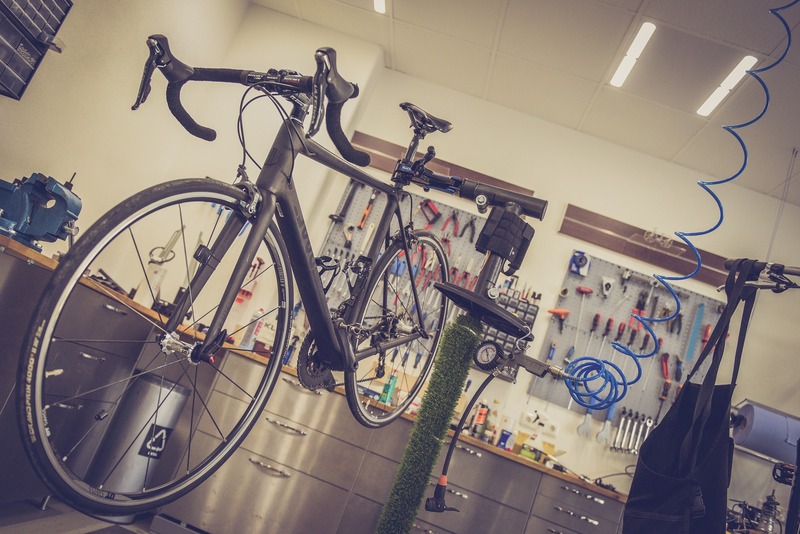 From a customer's point of view they can be sure that their bike (or future bike) is in safe hands, being looked after by people who invest in their skills and the bicycle industry as a whole, by a workshop that values its customers. 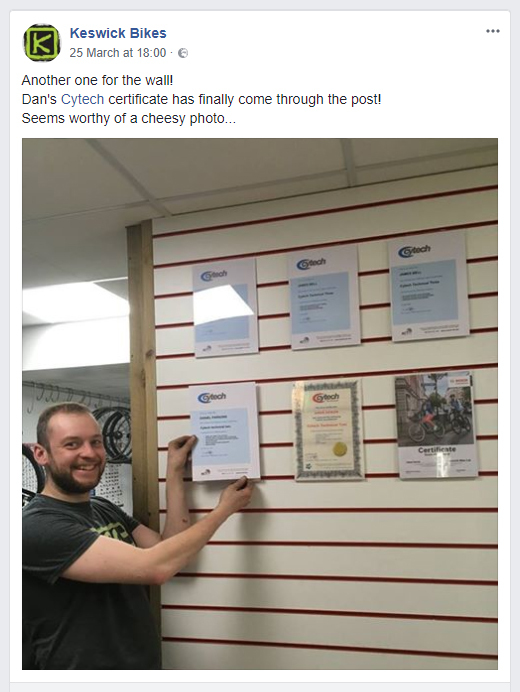 Cytech Accredited shops are promoted and can be searched for on the Accredited Shops page of the Cytech website, as well as further featuring on the 'Find a shop' page of the consumer facing site 'The Cycling Experts'. Make sure that you keep your business and staff details up to date through your MyActSmart account. More information about Cytech Accreditation can be found here, and more information about The Cycling Experts can be found in the section below. The Experts specialist retail community brings together a growing number of consumer sports and leisure websites (including cycling) to help consumers find information and the specialist businesses that enable participation in the UK. As a retailer in the UK cycles trade you can benefit from free promotion to hundreds of thousands of consumers every month via The Cycling Experts website, regardless of ACT membership. Combining this with other specialist sectors under one community via The Experts website will generate additional consumer traffic - thousands of consumers every month - and any future additions to The Experts community will extend the reach of your business. The detail of your business's promotion is down to you - the more you insert about your business the more likely you are to benefit from increased consumer searches thanks to our continual SEO improvements. Details can include company logo, description, opening times, contact details, services you offer and brands you stock to name a few. Make sure that your details are up to date and use your MyActSmart account to make any changes or fix anything that's incorrect. This scheme is exclusive to ACT Gold and Platinum members and gives you the opportunity to take advantage of low cost advertising in Yellow Pages directories under the ACT banner. Your Yellow Pages advert will also promote if you have Cytech qualified staff. Click here to visit the ActSmart trade website and find out more about Yellow Pages advertising.